marymac0707 has no other items for sale. 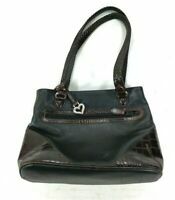 Brighton black and brown leather handbag. Black Liz Claiborne Leather Purse with Gold-Colored Accents and Pulls!